I have only just found a comment on a post from the distant past, from someone called Aidan, asking, “The carriage advance (? - not my question mark, but Aidan’s) string at the back of the typewriter is broken - do you know where I could find a photo as to how this attaches to the roller mechanism [presumably Aidan means the mainspring]?). Aidan’s “broken carriage advance string” is, of course, the often troublesome old drawband. Sometimes metal, sometimes fabric, sometimes cat gut - but always a damned bother to fix! With four hands and a locking device, it's easy to re-attach the drawband to the mainspring on an old Underwood. It screws on. But "getting at" the mainspring to re-set it is a real test of endurance. From considerable experience, I would estimate that at least 97.5 per cent of the problems with so-called “broken typewriters” are no more than worn and snapped drawbands. In very, very few cases has the mainspring broken. Anyway, to aid Aidan, I have quickly rushed downstairs and snapped off some photographs, to guide him in the process by which a drawband can be reattached on a portable typewriter. My reply to his comment was all too simplistic and I thought I'd better do the right thing by him and try to produce some images. The result of me holding a camera in one hand and a drawband in the other will offer only a very basic outline, but it may well suffice for those like Aidan who want to tackle this tedious yet "do-able" task. The general idea is here, anyway. I must add that I would far prefer to have two pairs of hands when undertaking this operation. 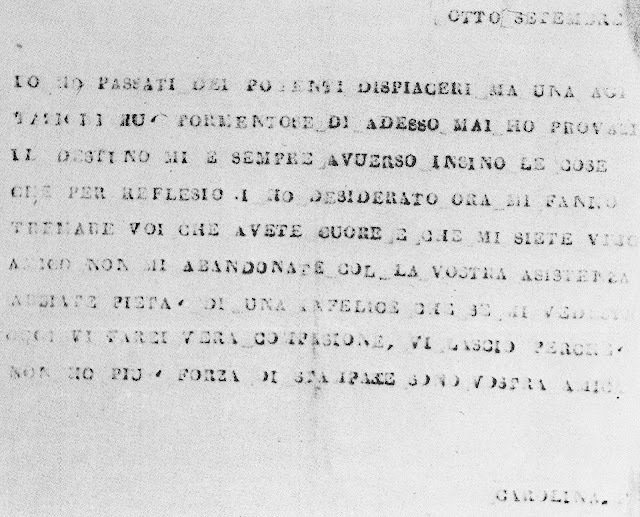 In Aidan’s case, the portable typewriter is a Torpedo, but in order to demonstrate my layman’s rudimentary (yet usually highly efficient) method of doing this job, I grabbed a stripped down Olivetti Lettera 22. This might be a bit unfair, as what I am showing here is easy to see, to get at and to do – more often than not, the mainsprings on portables are almost impossibly positioned and most difficult to get at and re-wind. But, dear beginner, try hard to avoid the temptation to take the mainspring off the mainframe. Fixing and reattaching a mainspring is one hellva lot harder than simply replacing a drawband. If a drawband has snapped in half, which is often the case, it may be necessary to replace it altogether. Given you can’t wander down to the nearest typewriter shop and buy a replacement drawband any longer (boo-hoo) I use fishing line, and I find it generally works for me. Always allow some leeway for the mainspring. Reattaching a broken drawband, using what remains of the original drawband, can lead to problems if the length is not sufficient to ensure the mainspring can properly pull back a fully extended carriage. OK, my method starts from right to left, which may not be technically the right way to go about it, but I find it easier, especially when working without assistance (as we most often must do). I first find where the drawband attaches to the right end of the carriage. On almost all Western-language typewriters, the mainspring is on the left under the carriage or at the back of the mainframe, and the drawband attaches to the right end of the carriage. On many older typewriters, the drawband doesn’t simply hook on (as here), but the right end has a metal clip attached which is actually screwed on to the carriage. Next, get the drawband through to the left under the carriage. This can be tricky. Typewriter technicians had a special tool, which looks like a very long, thin screwdriver with a conventional screwdriver handle, but which has a V-shaped end through which the left end of the drawband can be gripped while pushing the long, thin metal part through under the carriage. I use a wooden meat skewer, slicing the end with a blade and holding the end of the drawband in place that way. You need something of the length of a skewer. It is super important to ensure that, when feeding the drawband through from the right under the carriage, the drawband is not impended by anything, or the drawband does not impede any of the mechanism under the carriage. When you get it through to the left, check it to make sure it moves about freely under the carriage. Finally comes the really hard part. The mainspring must be re-set BEFORE reattaching the drawband. Some may well argue, with sound reason, that you should do it the other way around - that is, re-set the mainspring first, then attach the drawband to the mainspring, then feed the drawband through under the carriage from the left, then attach the drawband to the carriage. Yep, makes sense. But try doing that on your own, maintaining full tension on the drawband all the way. Not so easy, eh? Nonetheless, the major issue that I find is getting the drawband attached to the mainspring, which is when you really do need four hands. It may indeed seem easier to do that before re-setting the mainspring, but then how do you re-wind the mainspring with the drawband attached? And then, as I say, get it under the carriage without releasing the mainspring? Generally the mainspring winds in a clockwise direction, so that it can pull back the drawband (and with it the carriage) in an anti-clockwise direction. Turn the mainspring a couple of rotations, let it go, and ensure that it “zings” back, not just “limps” back. If it “limps” back, you’re winding it the wrong way. Go for “zing”. But be VERY careful not to get your fingertips caught if, for some reason, your grip on the mainspring slips and the thing “zings” back – it is BLOODY PAINFUL!!! OK, so doing it my layman’s rudimentary two-handed way, one hand is employed firmly holding the re-set mainspring in place at full tension (and for goodness sake don’t overdo it and break the spring! ), and the other hand is employed to re-attach the drawband to the mainspring. Can be tricky! Often you can be concentrating on the drawband, getting it into the hole on the mainspring, and the mainspring snaps back, ripping skin off your fingers. But let’s assume you succeed to this point. Gently release your grip on the mainspring so that it slowly winds on the drawband to full tension. Now your typewriter is right to use! * If I can find another set of hands, or two, I might video this process. As I tried to get back to sleep at 2.34 this morning, my mind whirled with a persistent uneasiness, a sense of guilt that I had just broken the historian's golden rule. Had I been a witting party in propagating a myth? Minutes earlier I had completed a half-hour interview with BBC Radio's Andy Martin on the subject of typewriters. 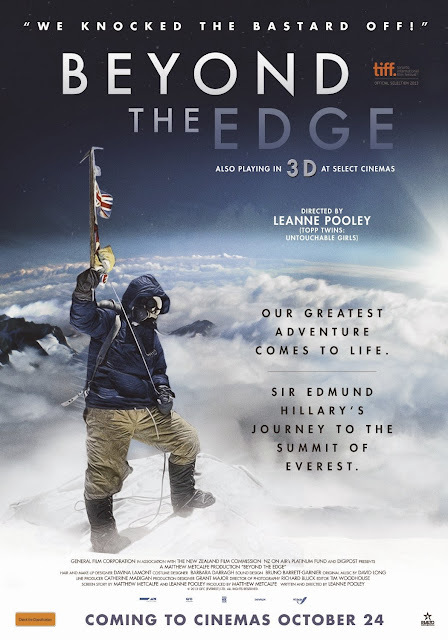 Some weeks ago, BBC Radio started planning a series of programmes to be broadcast in Britain at Christmas, to celebrate the anniversary of some of the most significant events in history. 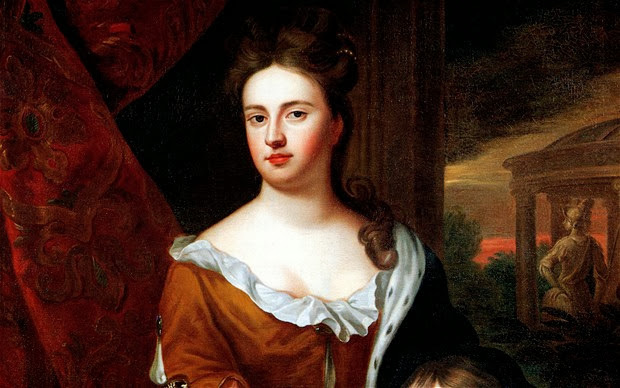 Queen Anne (1665-1714): Did she grant a patent for the first typewriter? It will be 300 years next January 7 since a dying, immobile Queen Anne of England granted one Henry Mill a patent for "an artificial machine or method for the impressing or transcribing of letters, singly or progressively one after the other, as in writing, whereby all writings whatsoever may be engrossed on paper or parchment so neat and exact as not to be distinguished from print ... the impression being deeper and more lasting than any other writing, and not to be erased or counterfeited without manifest discovery." Was this the first typewriter? Well, BBC Radio certainly thought it was. 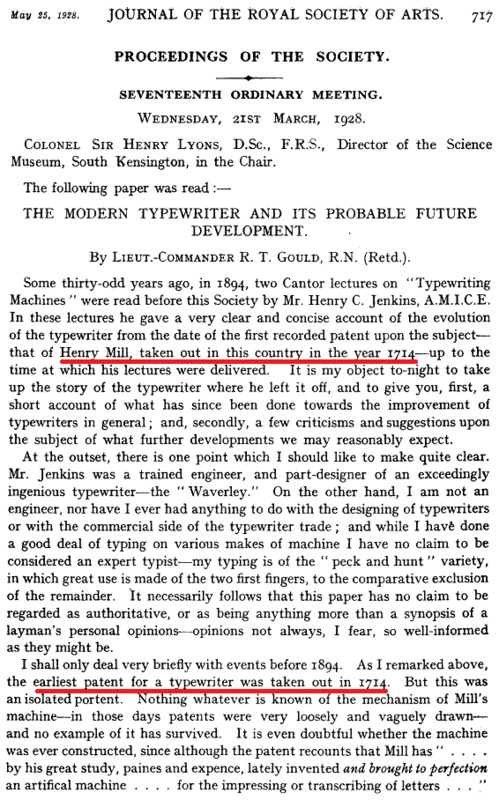 But its source was quite probably Wikipedia, which boldly states "Henry Mill (c 1683–1771) was an English inventor who patented the first typewriter in 1714 ... The machine that he invented appears, from the patent, to have been similar to a typewriter, but nothing further is known." 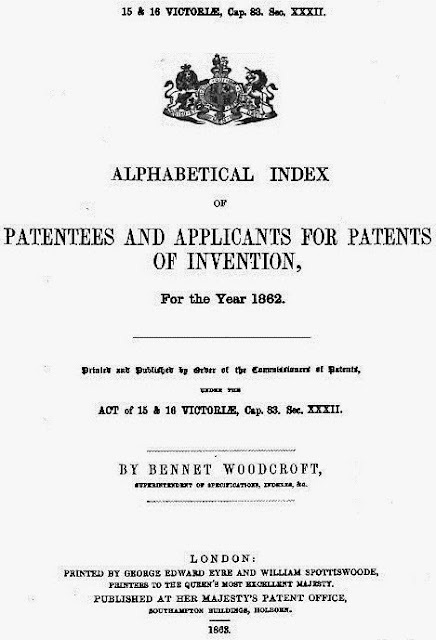 What Wikipedia does point us to is the first published reference to the Mill patent, which came in 1855 in Bennet Woodcroft's Reference Index of Patents of Invention, From 1617 to 1852. Perhaps the BBC was really waiting for me to offer some form of confirmation of the Mill claim. And I couldn't bring myself to do it, even for the Beeb. Still, as is always the way with such things, the mere suggestion of an 1714 English-invented typewriter will be sufficient for the vast majority of the BBC's audience to assume (and therefore take to their graves their belief) that it is true. Try convincing anyone that the first day of thanksgiving on the North American continent was not at Plymouth, or that The Great Chicago Fire of 1871 was not caused by Mrs O'Leary's cow kicking over a lantern. As I waited for the BBC to ring me in Canberra at 2am (3pm Tuesday, Greenwich Mean Time), I brushed up on my research on Mill. All the while I hoped the impending interview with Andy Martin would not concentrate on Mill, or indeed set out to establish in the minds of listeners that Mill had invented the first typewriter. But of course, at least in the initial stages, it did. I should have dismissed it out of hand, but I failed to do so. Rather than cause any confusion, I merely used Mill as a starting point, to lead on to Pellegrino Turri di Castelnuovo and, eventually, 104 patents after Mill, to Christopher Latham Sholes. Avoiding confusion is really what this problem is all about. At the turn of the last century, when historians first began to research and write about the development of the typewriter, it was convenient for them to label early patents, such as the one issued to Mill, as describing "typewriters". The term didn't exist before 1867. Taking in all the 105 patents from Mill to Sholes, if one word is at all common it is "typographer". Many relate to the printing industry. As I did quickly point out to Andy Martin last night, there has never been any evidence that Mill actually built a machine. All that exists is the wording of the patent; no model or prototype was required to support the application to the court of Queen Anne. If Mill did build what he described, no trace of it has ever been found. 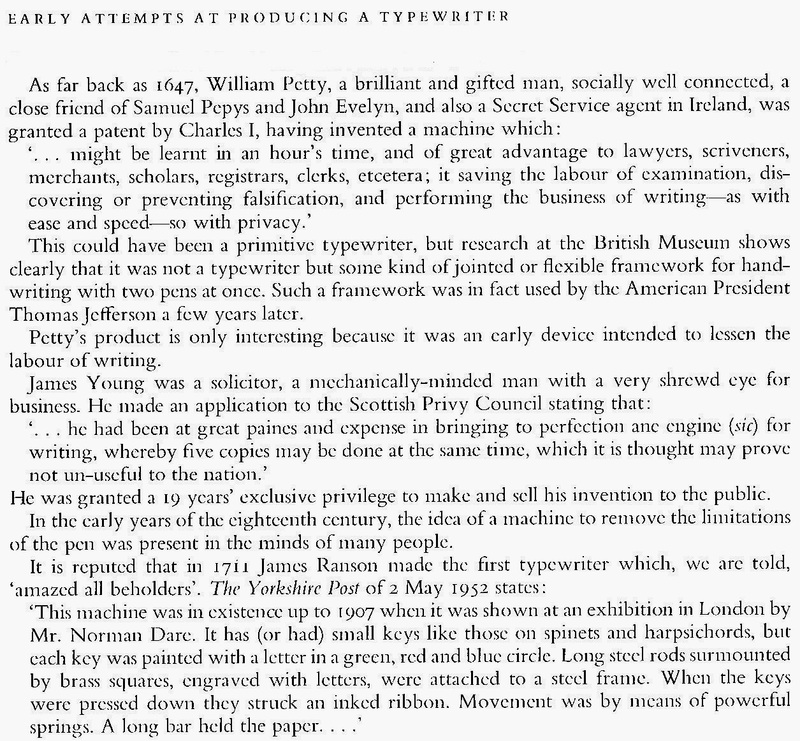 The idea of an 1714 "typewriter" was all-too-willingly taken up Müller, Budan (1902 and 1911), Benedict (1903), Mares and Oden (1917). 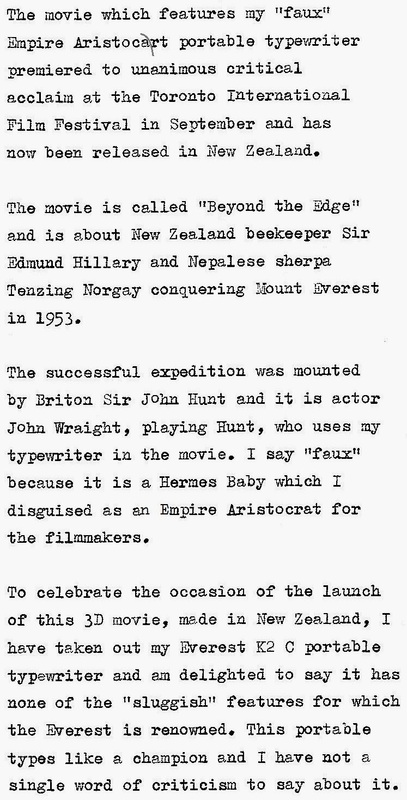 It persisted through to Martin (1949), by which time it had become entrenched in the minds of typewriter historians. 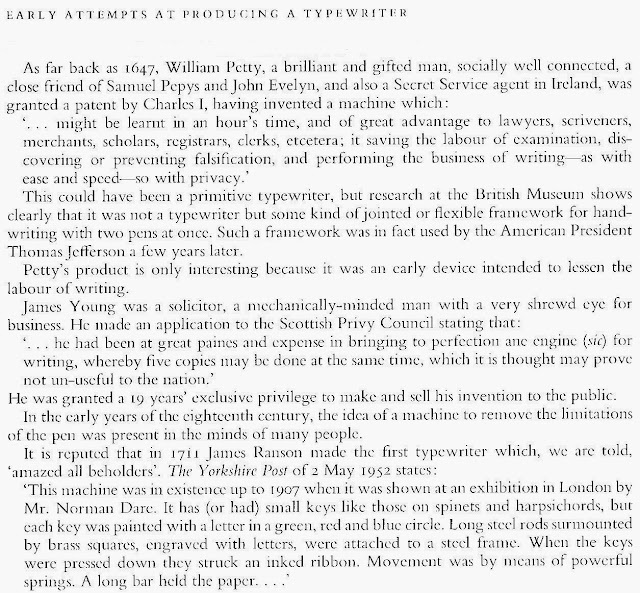 Yet to date the evolution of the typewriter from 1714 is, I would suggest, wishful British (and all typewriter lovers') thinking. In reality, the typewriter invented by Christopher Latham Sholes had no real precedents at all. Sholes only became aware of the Pratt Pterotype in July 1867, some months after he had started thinking about a mechanical writer, and the Pratt machine clearly had no influence on Sholes. For one thing, it employed a single type element, the 1867 patent for which was sold to Hammond. 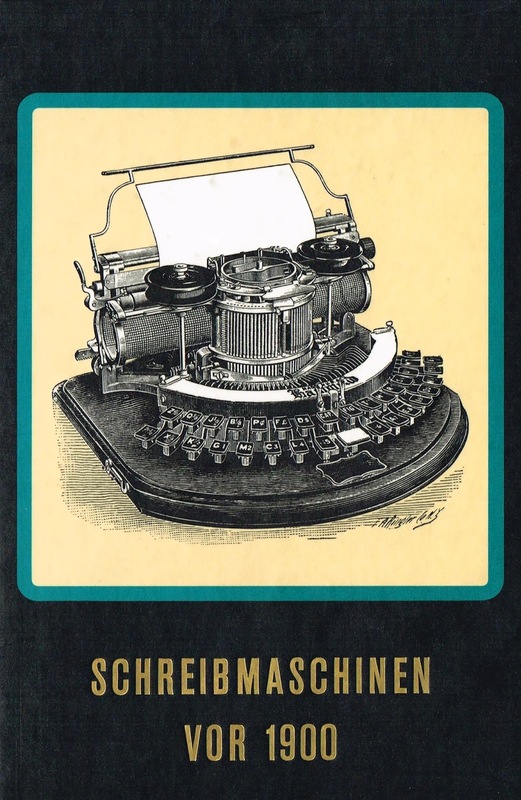 What eventually emerged from Sholes's work was something closely approximating what we today would think of as a "conventional typewriter" - that is, one with a carriage and platen, a typebasket and a keyboard. It would be drawing a very long bow indeed to suggest anything which preceded the Sholes machine had any real impact on its development. Patent royalties were paid to Charles Ames Washburn, but Sholes was unaware of Washburn's carriage patent when he invented the typewriter. History shows that in Britain and the United States in the latter part of the 19th century, there was a general tendency to cement the notion that anything "new" had a long and involved background, steeping it in British or American traditions. The socio-political reasons for this are complicated, and I won't bother with them here. Suffice to say it was unacceptable to think of "inventions" as coming from an absolutely standing start - which, in fact, they so often did. If I had wanted to be pedantic about this in my interview, I could easily have been so. There is no absolute certainly, for example, that the Henry Mill granted the 1714 patent by Queen Anne was the same Henry Mill who was associated with the New River Company. Richard Bissell Prosser's entry on Mill in the (British) Dictionary of National Biography, 1885-1900, Volume 37, outlines what is known about the Henry Mill who was an engineer to the New River Company, but says, "It is probable that he was identical with the Henry Mill who in 1706 obtained a patent (No 376) for an improvement in carriage springs, and also in 1714 another patent (No 395) for an apparatus ‘for impressing or transcribing of letters singly or progressively one after another, so neat and exact as not to be distinguished from print, very useful in settlements and public records.’ The patent contains no description of the apparatus, but it has always been regarded as the first proposal for a type-writer. "Mill died unmarried at his house in the Strand on 26 December 1771, and he was buried in Breamore Church, near Salisbury, where there is a long epitaph to his memory. The epitaph states that he was ‘aged eighty-seven’, but he is entered in the parish register as ‘aged 88 years'." 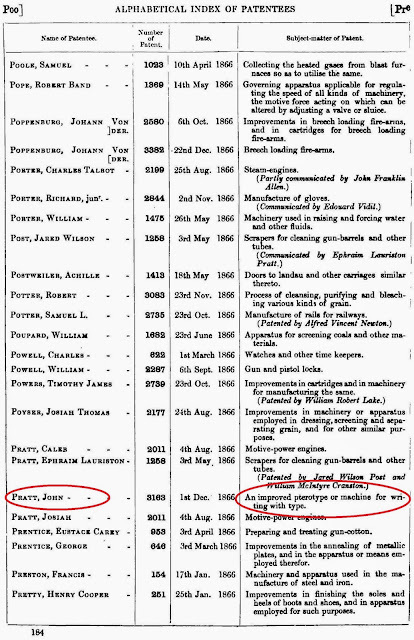 The records of the New River Company were destroyed in a fire. It's certainly a romantic notion that the development of the typewriter dates back to 1714, to the court of Queen Anne. But do we really need to stretch credulity to such an extent in order to celebrate the glory of the typewriter? I don't think so. Pre-Script: Please be aware that there has been a huge flurry of interest in the typewriters and about half a dozen have gone already, within minutes of me posting. I mentioned in my post last evening that, through one very satisfied customer, a lot of local interest had emerged in the hundreds of portable typewriters I am selling. This blog post is primarily for the benefit of those people who have emailed me in the past day. However, if you are further afield and are interested in any of these, let me know, as the typewriter may still be available. None of these have yet been listed online. These 20 are just a small sample of the portable typewriters I have for sale. None of the typewriters photographed here have yet been cleaned up or serviced or have had new ribbons put in them. The prices include cleaning, service and new ribbon. At this stage I MUCH prefer pick-up, but courier or postage can be arranged. I refer to these as “economy class” because generally they at the lower end of the price range for typewriters of this kind. For the time being, I am mainly selling typewriters from the 1960s and 70s. Earlier, more expensive, more valuable typewriters will follow in due course. Some of these typewriters have been imported by me from overseas, as they were never sold in Australia at the time they were made. This means I have already meet the considerable cost of shipping in these machines from overseas, and their price may well reflect that. Any expressions of interest at this initial stage will not constitute a legally-binding contract to sell or buy, but will just be a starting point for us to discuss a possible sale. This post in merely being used to show a few of the typewriters that are available for sale, and to give an idea of prices. Underwood 10. Made in Italy by Antares, mid to late 1960s. Rare model and especially in this salmon colour. A good typer. Price $125. Antares Compact. Made in Italy, late 1960s. Price $45. The same machine is also available as an Underwood, same price. Smith-Corona Sterling. Made in US. Completely refurbished and repainted by me. I have another of these in a light blue, same deal. Excellent typer. Early 1960s. Price $85. Adler Tippa. Early 1960s. Cursive typeface. Made in Germany. Price $95. Remington Monarch. Made in Holland. Solid machine. Early 1960s. Price $65. H.G.Palmer. This is a very small, lightweight Smith-Corona Skyriter which was rebranded for an Australian chain store. Made in US, mid to late 1950s. Will be fitted with a black ribbon when sold. Price $60. Remington Travel-Riter. Completely refurbished and almost completed re-painted by me. Made in Holland, early 1960s. Solid machine, good typer. Price $75. Olympia Olympiette. Wide-bodied. Made in Japan, late 1970s. Good typer. Price $55. Underwood 378. Made in Spain by Olivetti, 1970s. Fairly rare model and much in demand because of its styling. Price $135. Royal 201. Orange. Made in Japan by Nakajima, early 70s. Much in demand because of colour. I also have one of these, made by Silver-Seiko, same colour, same price. Price $115. Waltons. This is a German-designed ABC made by Messa in Portugal and rebranded for sale in Australia by department store Waltons. Elite typeface. Price $65. 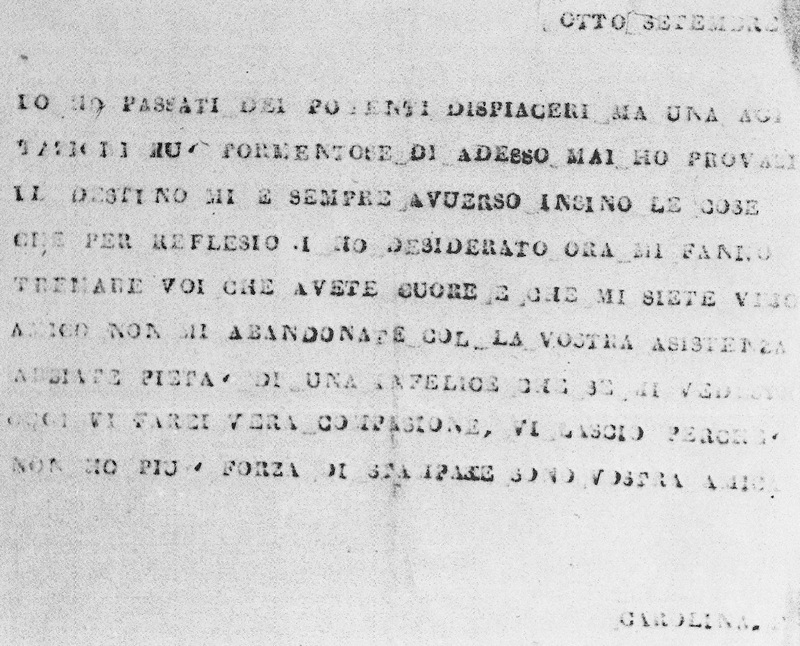 Olivetti Lettera 82. I am very proud of the work I have done on this machine to restore it to excellent working order, with correct alignment. Much in demand, especially because of its colour. Made in Brazil, late 1960s. A very good typer. Price $115. Optima. Very sturdy East German machine made by Robotron (also marketed as an Erika) in Dresden, late 1970s. Has sans serif typeface. A very good, solid typer. Price $65. ABC 3000. Made by Messa in Portugal. This one was originally bought in Zimbabwe when that country was still Rhodesia, early 1970s. Price $55. Alpha 304 TR. Korean-made from Japanese Brother design, late 1970s. Sturdy and more of a "semi-portable", like the Optima or Olympiette. Good typer with elite typeface. Price $65. Case has no handle. Quest. Another of what I call "no-name" typewriters. Not for those wanting to invest in a known brand, but a very good 1970s typewriter nonetheless. Elite typeface. Price $50. Royal 200. Made in Japan for Litton Industries by Silver-Seiko, late 1960s. Price $35. Remington Graduate. This is probably the best of the Dutch-made, post-1960s Remington portables, a very solid machine and a really excellent typer. Rare model in this country. Price $125.